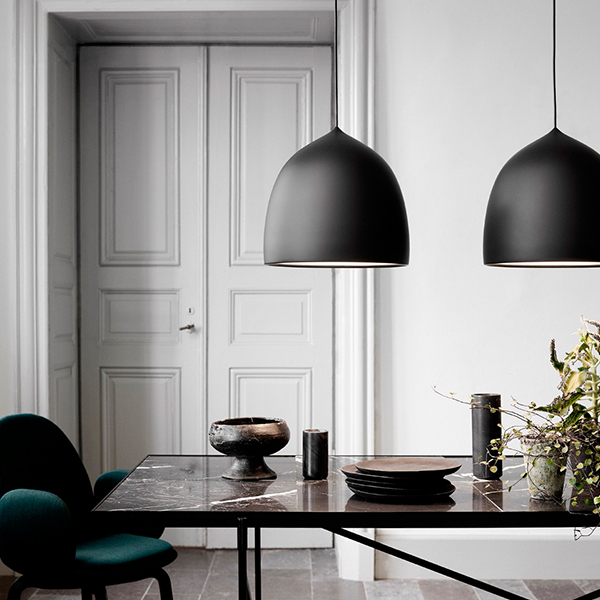 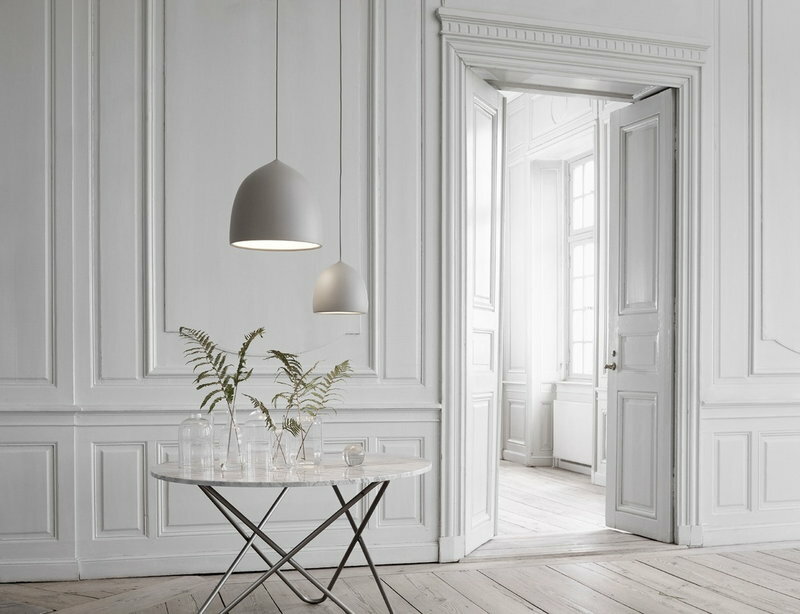 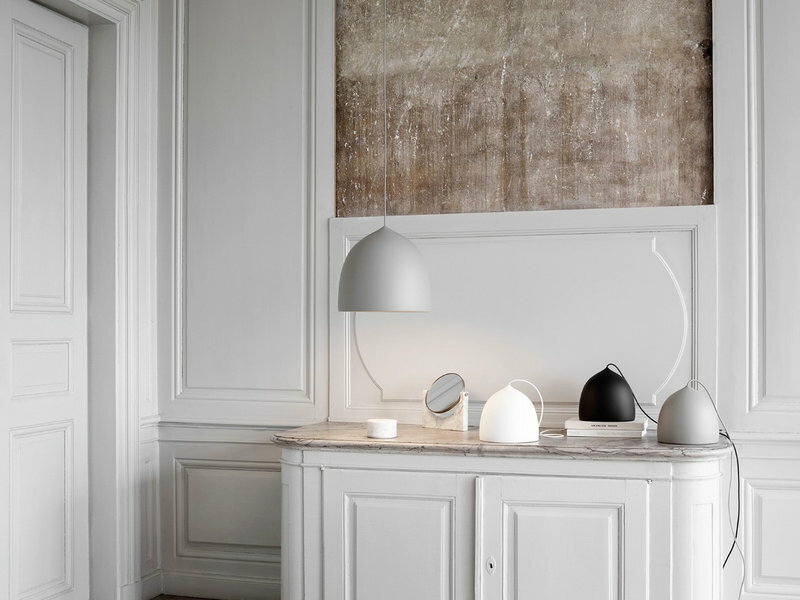 The Suspence P2 pendant from Fritz Hansen has a beautiful aluminium shade with a shape based on basic physical movement: the small tip on the top of the lamp looks like it was created by pulling the cord. 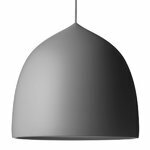 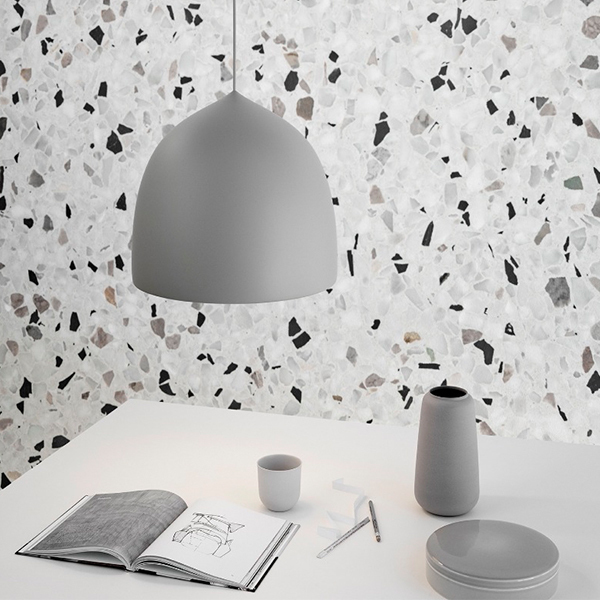 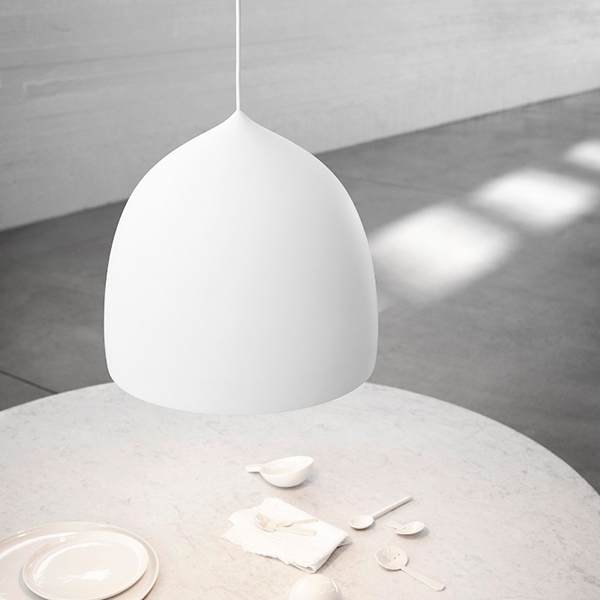 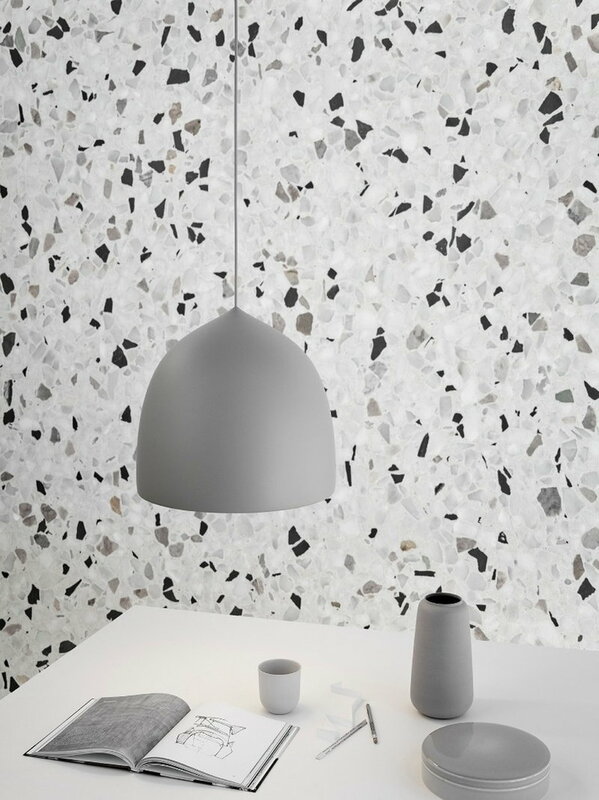 Designed by GamFratesi, the pendant features an infinity diffuser that concentrates the light, prevents glare and creates an optical illusion of an open shade. 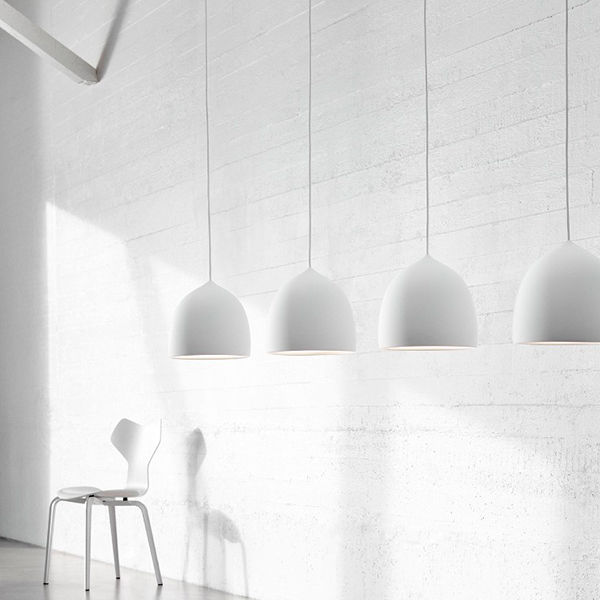 With its monochrome look and minimalist silhouette, Suspence P2 is well suited for any space and setting.